Drunk Driving Car Accidents | Miami DUI Accident Lawyers Gerson & Schwartz, P.A. Contact Florida Auto Accident Attorney Gerson & Schwartz, P.A. Drunk drivers willfully and needlessly endanger the lives of others. At Gerson & Schwartz, P.A., our Miami Drunk driving accident lawyers are committed to fighting for the rights of those who lives have been changed forever due to senseless criminal and reckless disregard for the life and safety others. From our attorneys to all members of our legal staff, we are committed to holding all responsible for negligent acts of drunk drivers in Miami, Fort Lauderdale, and other areas of South Florida. Experience car accident lawyers can explain that drunk driving accident cases are far more complex than most people realize. It’s not simply about driving recklessly. Third parties too may have a role in prevention and they too may be liable. Over the last 46 years, our law firm has succeeded in drunk driving accident crash case other Miami law firms said were hopeless. Claims against hotels, bars, restaurants, social hosts, special event operators, vehicle owners and vehicle manufacturers have all been brought to justice by determined, effective advocacy by drunk driving accident attorneys at our law firm. If you or a loved one has been a drunk driving accident victim call us first and don't give up until every remedy has been investigated. Drunk driving accidents are also especially problematic in areas from Miami Beach, South Beach and other parts of South Florida given the number of night clubs, bars, and other social events and parties where alcohol is served. All too often we hear and read about unfortunate incidents and tragic events due to careless act of driving while intoxicated. Our Miami car accident attorneys have over four decades of experience pursuing claims on behalf of injury victims in Miami and South Florida due to drunk driving. According to the Florida Department of Motor Vehicles, 33,625 people were convicted of driving under the influence last year alone. When someone decides to drive drunk innocent drivers and passengers are in immediate danger. The Florida Department of Highway Safety and Motor Vehicles (FLMSV) reports more than 2,000 deaths and 17,000 injuries have been attributed to impaired driving in a single year. These drivers are making decisions that place themselves, their passengers and other road users in immediate peril. Drunk driving resulting in serious bodily injury is a third-degree felony under Florida law, punishable by up to five years incarceration. 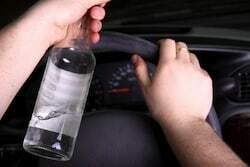 Drivers with a blood alcohol level of .08 or higher are above the legal limit, though authorities may also determine a driver is “under the influence” even if chemical tests don’t show results beyond that threshold. Alcohol-impaired drivers who cause serious injury or death may also be subject civil liability. Furthermore, drunk drivers that cause accidents and serious injuries such as a traumatic brain or closed head injury can also be subject additional civil liability for punitive damages under Florida Statutes 768.762. Drunk driving cases are also among the select few arising from crashes that are eligible for punitive damages under Florida Statutes 768.762. Insurance companies are not party to this order. It only pertains to the individual who has been convicted. Criminal courts do not generally go through a detailed damages analysis the way your injury lawyer will in civil proceedings. It is almost always worthwhile for drunk driving accident victims to consult with an experienced Miami car accident attorney to fully weigh their options. Drunk driving related injuries are wide-ranging, from a traumatic brain injury, paralysis and sometimes death. Drunk driving accident related injuries can leave individuals and families reeling – both emotionally and financially. Our law firm takes drunk driving accidents seriously, working with law enforcement and the state attorney’s office to gather information and protect our client’s rights. We also always request their victims’ rights are asserted during criminal prosecution. Owners of the vehicle. In Florida, because vehicles are considered dangerous instrumentalities, owners may be vicariously liable even if they didn’t directly engage in wrongdoing or negligence. In some cases, negligent entrustment could be asserted as a form of direct liability. Employers. If the individual was working or in any way engaging in the course and scope of employment at the time of the crash, the employer may be vicariously liable. Obtaining important evidence such as witness statements, police surveillance video and results from field sobriety tests are all needed to succeed in your claim. Our Miami law firm specializes in "suing the drunk driver,” as well as others who may be responsible. We understand the difficulties drunk driving accident victims in Florida face. If hired to represent you, our DUI accident lawyers in Miami will work diligently to obtain all evidence needed to win your case at trial. What is My Drunk Driving Crash Case Worth? Investigation into whether any liquor liability laws have been violated. When you come in for a free consultation, we will discuss these case factors with you to explain how they may apply to your specific situation. The earlier you contact an attorney, the better. These cases can be complex, and early involvement will help preserve important evidence and ensure you don’t run afoul of statutes of limitations. Every year since 2007, Gerson & Schwartz P.A. has received the "Award of Honor" from Mothers Against Drunk Driving (MADD) to recognize our strong commitment to help victims get justice for harm caused by impaired drivers. We also encourage you to join or support organizations that help drunk driving accident victims such as Mothers Against Drunk Driving (MADD). Chemically compromised drivers remain one of the greatest unsolved problems in our society that cause tragedy that can never be overcome. We intend to continue our contributions to MADD to help raise awareness, create stiffer penalties and comfort victims. 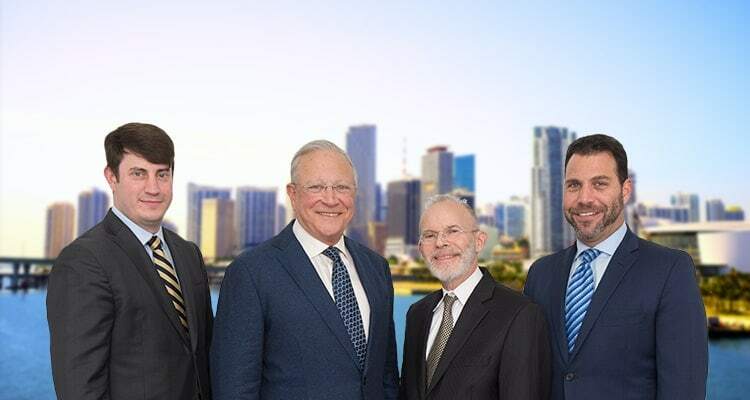 If you or someone you love has been injured in a car accident, please contact the Miami Car Accident Attorneys at Gerson & Schwartz, P.A., for a free consultation by calling (305) 371-6000 or using our online contact form.